One of the enduring images of the 1920s is of young women with bobbed hair wearing loose-fitting dresses and dancing the Charleston. These “flappers” were breaking the restrictive Edwardian styles and norms that embodied the previous decade. Where fashion had once featured full coverage and constricting gowns, flappers embraced dropped waists, uncovered arms, and knee length dresses with rectangular silhouettes. 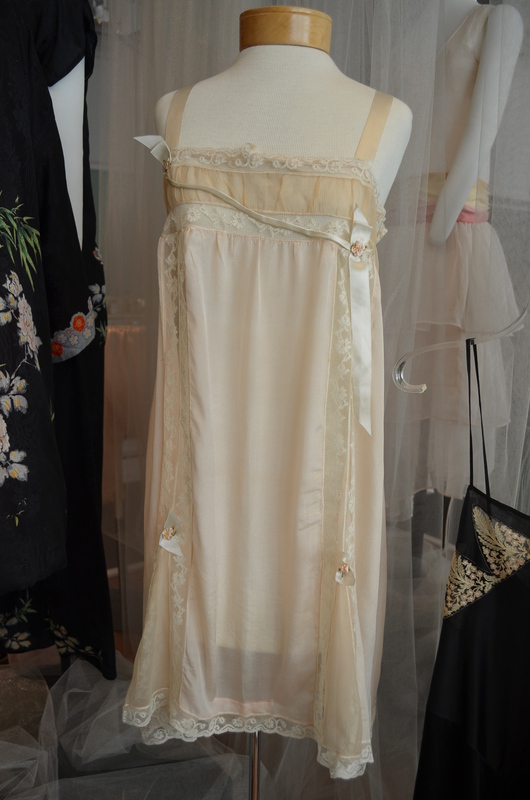 Previously, women wore corsets to emphasize their curves, but flappers chose undergarments like step-in chemises that flattened their chests and backsides. The flapper lifestyle was about more than fashion. Women gained the right to vote in 1920. More young women worked outside of the home and had disposable income. They were able to drive cars, attend dances at speakeasies that flourished under federal Prohibition, and date without chaperones. Some smoked and wore heavy makeup. Although this was a time of flourishing female independence, there were still societal standards of proper behavior that were more restrictive than expectations for males. Not all young women embraced every part of this lifestyle, but many did adopt aspects of it that suited their needs. 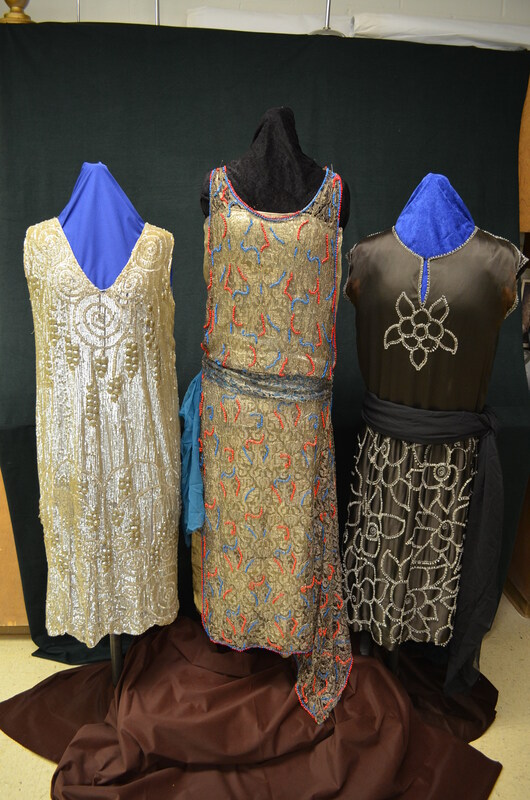 One of the flapper dresses in the Pink Palace’s collection is a sequined dress from 1923-1926 that was worn by Elizabeth Mallory Litton. When Elizabeth was nineteen, she competed in the second annual Miss Memphis pageant at Loew’s Palace Theater. Her prizes included a complete wardrobe furnished by local department stores, a round trip to Europe and an appearance in the national Miss America pageant in Atlantic City. She was also an athlete who won a Mississippi River swimming race and showed up at one of her Miss America events with wet hair after escaping for a dip. Elizabeth did not win the overall title, but she did win the Southern division bathing suit contest, beauty contest and Rolling Chair Parade. Family lore is that she may have worn the pictured dress during one of her contests. Elizabeth Mallory Litton’s dress is on the left. The step-in shown here is currently on display in the changing textile exhibit in the museum mansion. A period wedding dress is also on display. Information for this post came from a May 8, 1997, Commercial Appeal article and a series of articles in Smithsonian Magazine. Caroline Mitchell Carrico works in the Exhibit Department at the Memphis Pink Palace Museum. She has a graduate degree in history from The University of Memphis, and her favorite artifacts are the Cold War civil defense supplies. For the Pink Palace…because who doesn’t love reading about flappers?